Hopa Casino Full Review Including Bonus Codes! Hopa Casino is a relatively well known gambling site that specializes in slots and scratch cards, but also offers plenty of exciting features for classic casino game lovers. Find out more about this fantastic online casino, and how you can also claim a massive welcome bonus instantly! All new Hopa Casino members are welcomes with a bonus package that gives them the bankroll boost they need to try out plenty of games and, of course, collect some serious wins while having fun! As soon as you make a first deposit, you are eligible to claim Hopa’s Welcome Package which includes a 100% deposit match of up to a whopping €200 as well as 100 free spins! Slots fans are well-aware of just how profitable free spins can be, and instead of spending your own cash you can make use of this bonus to play for some massive jackpots without risking a dime of your cash! All you need to do is enter the bonus code HOPA100 when making your first deposit and the bonus will automatically be activated. It’s that simple! The deposit match is done instantly and the first 20 free spins will be credited to your account, and remaining 80 will be given over the 2nd and 3rd day of your membership. Raffles, More Deposit Bonuses and VIP Treatment at Hopa! While it all starts with the welcome bonus, this is by no means the end of your stream of gifts when becoming a Hopa Casino member! 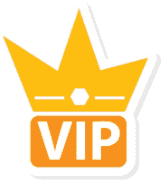 From the moment you register, Hopa Casino has you listed on their VIP program, meaning that from the first wager you place you are collecting Reward Points. The more points you collect, the higher your rank and bigger the prizes as you level up from New Member and Bronze up to Silver, Gold and Platinum VIP. Another great thing about Reward Points is that players can also exchange these for bonus cash! Meaning that on top of the allure of the Premium and Prestige VIP levels, which are exclusively accessible by personal invite, you can claim tons of cash through this fantastic loyalty program! At the heart of Hopa Casino’s incredible services is stellar software and high quality game play. While you can credit some of the experience to the massive variety of games, this casino site offers only the best games from developers such as NetEnt, Amaya, Cryptologic and NeoGames. In addition to finding hit titles such as Starburst, Chilli Gold and Foxin’ Wins, you can also play for some massive progressive jackpots. If you are into scratch cards you can also enjoy favorites like Diamond Duet, Wizard of All, Glamour 7’s and Starlight Dazzle. If you’re still on the fence about joining Hopa Casino but you want to test out the games they have available you can go ahead and play in demo mode. 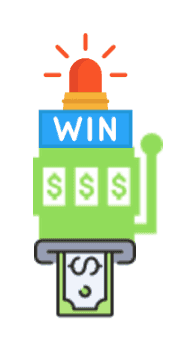 This feature allows you to play with a $500 play money budget and gives a taste of what’s in store for you once you register! Can I Play Hopa Casino on Mobile? Hopa Casino works incredibly well on desktops as well as on tablets and smartphones! Thanks to a smooth mobile platform you can enjoy most of the casino site’s features and games from any place, any time through your portable device’s web browser! Customer support is available is a wide variety of languages, and you can contact Hopa Casino’s service team with questions or concerns via email, phone as well as live chat. They also offer an extensive list of FAQS where you can find information on the most common concerns and important information. If you are a slots or scratch card lover then Hopa Casino is well worth giving a try. Not only do they offer a generous selection of games to play, but players are also treated and rewarded from the moment they sign up with exclusive offers and enticing deals thanks to an incredible bonus and loyalty program in place. There are many deposit options on Hopa Casino. You can choose the most convenient one for you.